I had to write about Bucky Barnes for this A-Z in April Challenge. I mean, he’s my mum’s favourite character in the MCU and he’s definitely up there for me too. Bucky’s story is very tragic but that’s one of the reasons why he’s such an interesting character. He fought in World War II, was captured by Hydra, was experimented on, rescued, then died falling from a train. That wasn’t the end of Bucky though when it was revealed he’d been the Winter Soldier, an elite assassin for Hydra for decades, being repeatedly brainwashed and then frozen when there was no use for him. I think one of the reasons why Bucky is such a compelling character is down to Sebastian Stan’s performance. 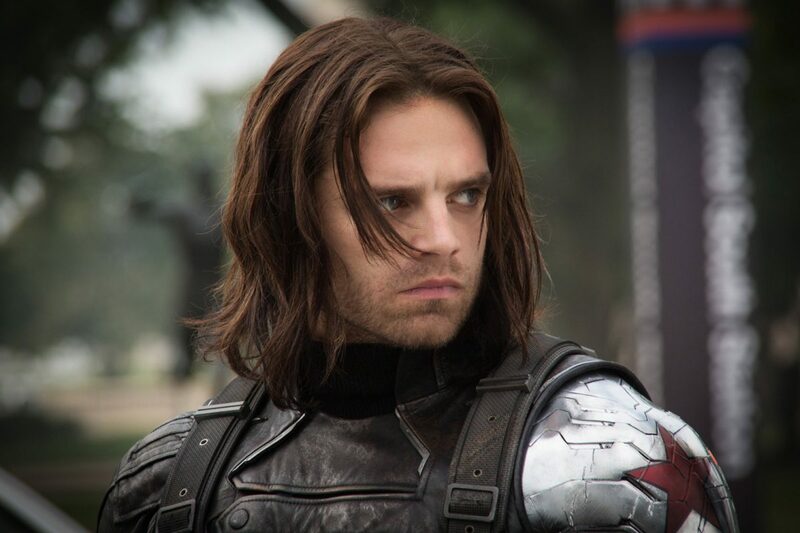 Especially in The Winter Soldier, Bucky says very little and spends most of the film with most of his face covered so to still have a character whose warring emotions play on his face, and whose whole body shows where that character is at is very impressive. Bucky’s relationship with Steve Rogers in the MCU (whether you see it as romantic or a deep friendship) is a major part of not just his character, but Steve’s character and it’s imbedded in the stories these characters are a part of. Steve will do anything for Bucky and Bucky will do anything for Steve, though Bucky is the one who’s more realistic about how dangerous he can be and doesn’t want people to get hurt because of him. The dream would be for Bucky and Steve to be able to retire and live in peace. Maybe even in Wakanda as I love the idea of Bucky and Shuri becoming mates after she fixed his brainwashing.